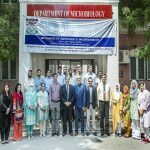 Institutional Biosafety Officer’s Workshop at University of Veterinary and Animal Sciences, Lahore on April 13-14, 2018 in Collaboration with Pakistan Biological Safety Association. 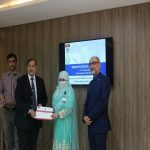 Training was organized and facilitated by IBC committee members and Post- Graduate Students of UVAS. Facility was equipped with multimedia projector and advertising posters for the said workshop. 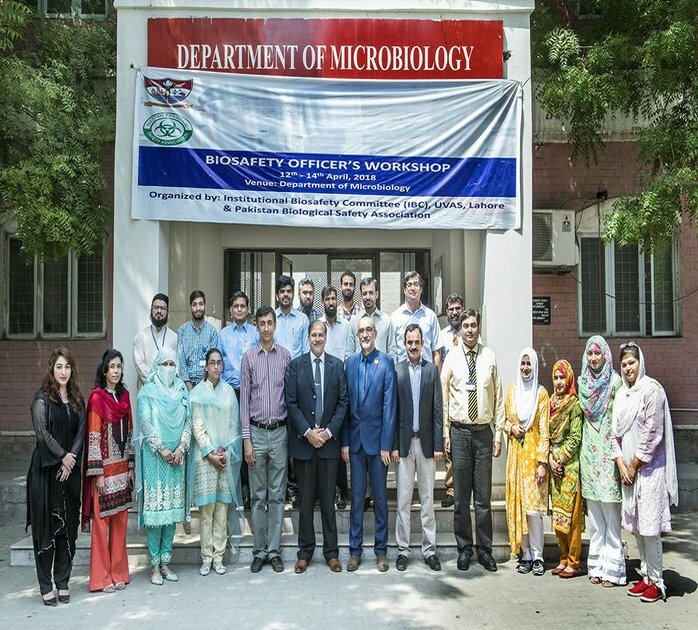 A total of 14 participants from different departments as biosafety officers were nominated by the chairpersons of respective departments, UVAS. Those participants after training are responsible for biorisk management in their departments. From April 13-14, 2018 Workshop activities includes the theoretical and interaction based session with the participants in which Prof. Dr. Masood Rabbani, Dr. Shamsul Arfin Qasmi, Dr. Adnan Arshad (FCU) and Dr. Muhammad Irfan ( FCU) came and told us about their experience and much more new things about institutional biosafety committee, their development and implementation strategies in institutes and also discuss the real case studies regarding institutional biosafety committee; they also briefly discussed the roles and responsibilities of biosafety officers (BSO) according to the WHO guidelines, CWA 16335-2012 and Punjab biosafety guidelines. Training and policy making specifications were also discussed. 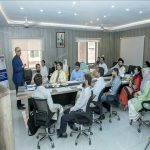 All the participants were actively participated and we saw more hunger for the knowledge about IBC and biorisk management strategies. Feedback by participants was morale booster for all of us. 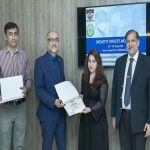 At the end of the day, certificates of participation were distributed to participants, organizers, resource persons and facilitators.